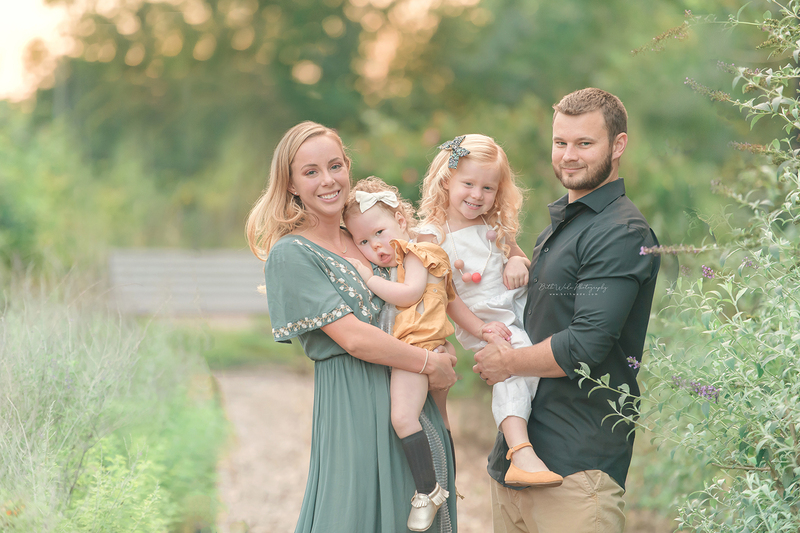 I’m so excited to share this post today! 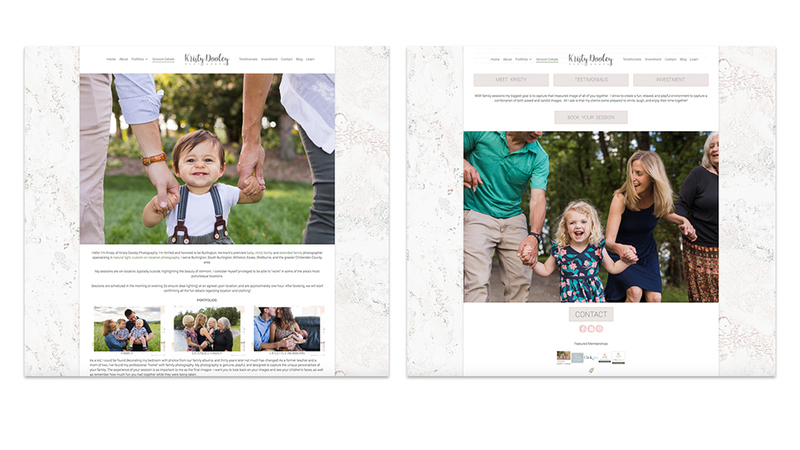 On a very limited basis I am now offering custom boutique branding and website design services for photographers. 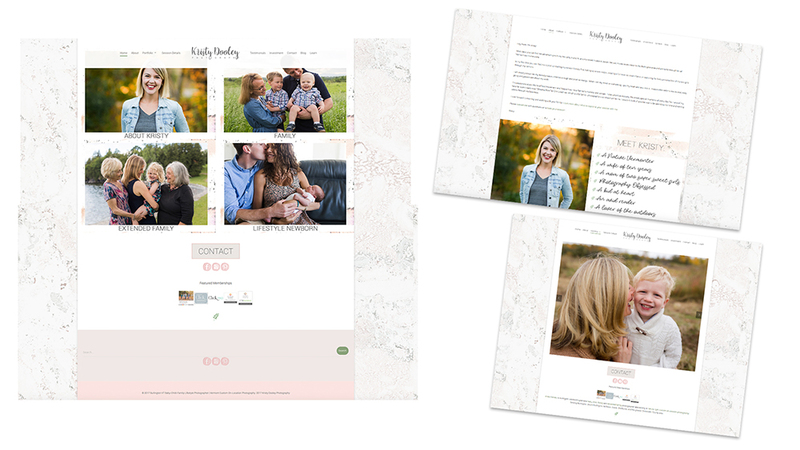 For most photographers, they can get a great start on their business and websites with my Basic WordPress and Website Creation class through Click PhotoSchool. But when the time comes for a refresh or redesign, sometimes getting that new look exactly perfect takes a little more time and effort! 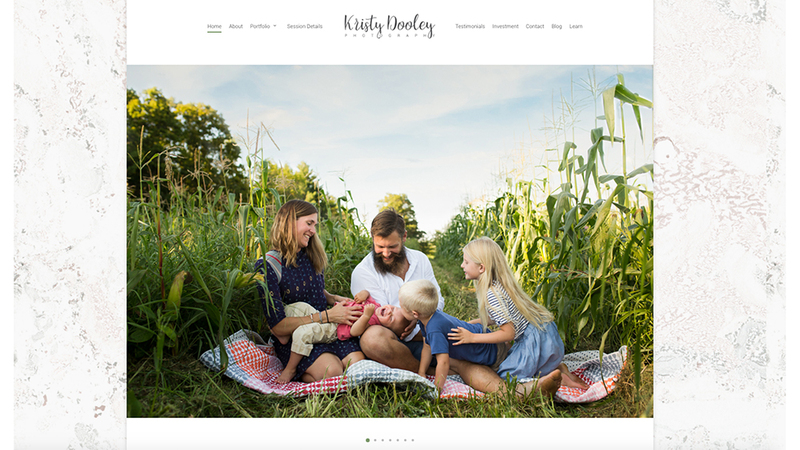 I just recently added this service and timing was great because my sweet friend, Kristy of Kristy Dooley Photography was looking to do a refresh of her own brand and website. 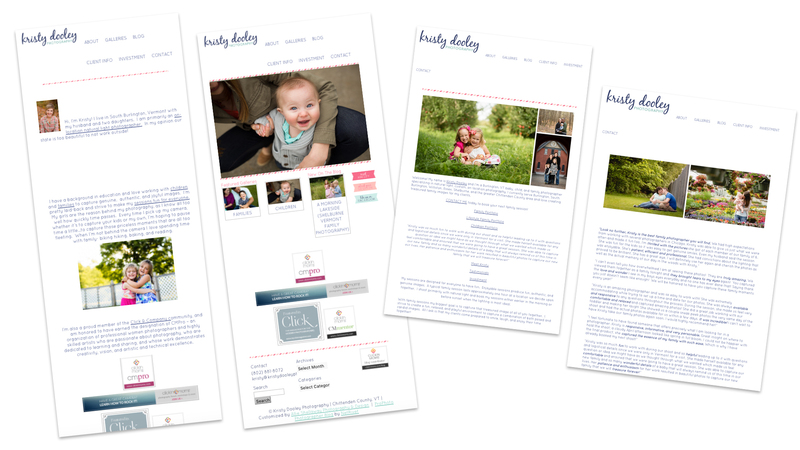 When Kristy contacted me she was ready for a new look for her logo, brand colors and site design. Something that was more sophisticated and professional but still unique and fun! 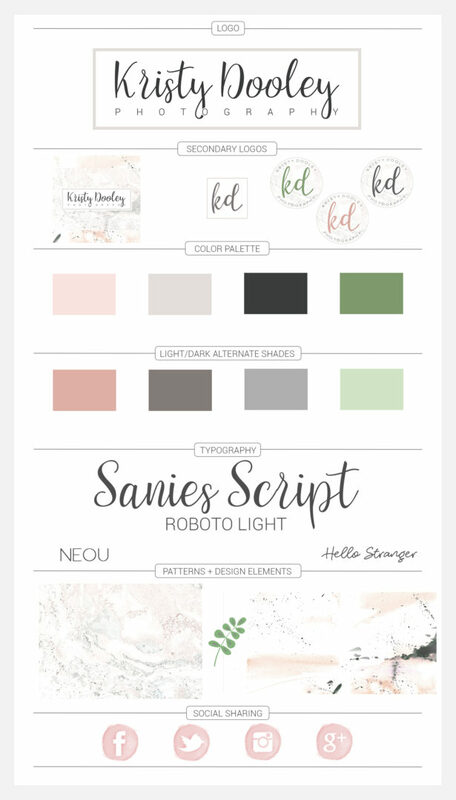 Her current brand incorporated lots of brighter tones (pink, aqua and navy) and after seeing her brand inspiration board we made a change towards more muted greens, grays and light pink tones. For her logo, she chose various fonts she liked and I recommended the one I thought would be most appropriate for a “refresh”. After comparing all the options there was no question it was the winner! I also pulled various new patterns and design elements to use in her designs. 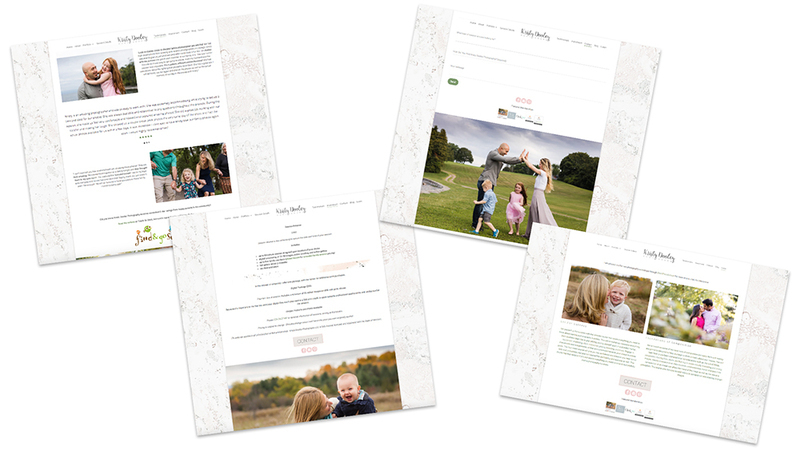 She didn’t want to go too neutral because her work is so vibrant and rich, but we also wanted to create a site where the photos would be center stage! 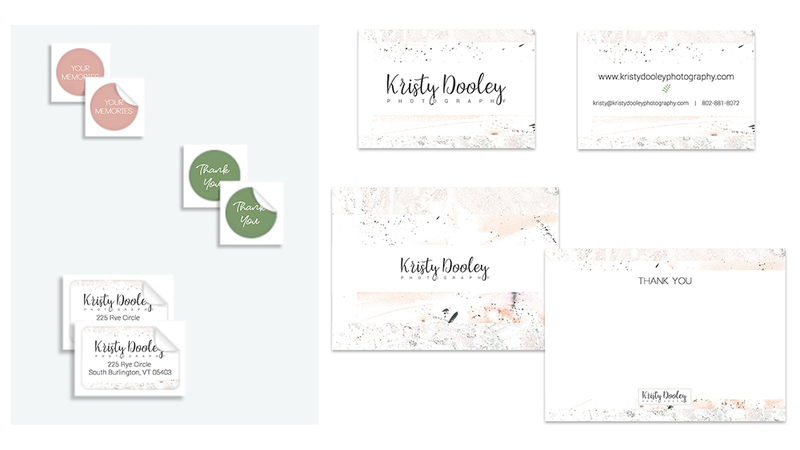 Because your brand extends all the way into your products and packaging, Kristy added on a print design option where I created new sticker designs, return address labels, business cards and thank you notes. I love how these turned out! She ordered her beautiful new printed material from the fabulous vendor MOO.